T5 2012/13 for Automobilista was added to URD shop. Huh, this might be the first URD thing I buy because I love these cars. Not a major DTM fan but bought this anyway mainly because I would like URD to bring their other mods to AMS. The Vids and screens does look nice! For AC there`s a 2015 version! Do anyone know if there are plans to bring this version as well ? Just did a race in these cars with the AI. They are fairly easy to handle and good fun similar to GT3's really, easy to race close to other cars. FFB seems a bit high by default. I had to drop from 100% to 80% otherwise the wheel was too stiff and I couldn't really feel what was going on. That's with a T300. Not sure if it is just me but the opponents engine noise is very loud compared to your own engine even with my engine noise on max and opponent noise on minimum in the settings. If I use the same settings with Reiza cars I can barely hear the opponents. No idea if that is something to do with the mod or not? Also I do not like ffb It is strange in the G27. Gave it a wee blast this morning and agree that the FFB isn't right. Way too strong and feels like the centre spring is overly aggressive. Otherwise they look and sound great with the handling model certainly forgiving but not as forgiving as the EEC GT3 mod which is a bit too easy. As others said the C7.R feels excellent so a tweak to these would sort them out. As they are I wouldn't recommend them due to the FFB. @ URD please remove the hideous flares from the front lights and could u please finally update the maures rear lights? people were asking for that since rf1 days.. are u planning to apply ams features? @madleecher1985 I can use rfactor skin pack on Automobilista ? @Paulo Gomes ... just wait some days and you get the full skinpack which is based on rfactor / rfactor 2 and Assetto Corsa skins. Yesterday have start with the 2012 Series ... all teamfolder and cars are prepared so only graphics must be updated. I've tried the 2015 version on Asseto Corsa and I must say I'm disapointed because of one big problem IMHO: the cars seems a lot slower than in reality and less grippy and fun than in other sims/mods. I love GSCE DTM mods (even if maybe they are not realistic), I've tried R3E cars (the free trial before purchase), I've watched several hotlaps. On Hokenheim, the qualification time IRL is arround 1:32/1:33 since 2012. On R3E many hotlaps are arround 1:32. On URD mods, on Asseto Corsa and AMS, it's arround 1:38. At least 5 secs slower. Maybe I miss something (better times after setup of the car in URD mod? ), but it's hard to understand why nobody complain about that, especially for a quite old, quite popular and paying mod. Our group "unitedsimracing.net" want first create the Skinpack and after all we wanna look the physics, because have found some issues. @pinkimo ... which Hockenheim Version you have use for AMS ? Wanna use it for some Laps to compare the cars. I've used the GSCE version of Patrick Giranthon. For Assetto Corsa I've used the first I found, can't say if it's accurate but if I compare series, I'm closer to GT3 times than GT500. For example on Brands Hatch on AC, a not too fast but clean lap with a GT3 is arround 1:26, with the GT500 mod arround 1:18 or less (I just did a couple of laps), and arround 1:23/24 with the URD DTM. I don't know at all what it would be IRL (and how the GT500 mod is accurate) but IRL, GT3 are arround 1:23 in qualifying (Official Site of Blancpain GT Series), 1:25 in race, and GT500 are a lot faster than GT3/GT300 (lets say 4 to 8 secs faster depending on the track) and DTM are close to GT500, so 1:23 seems slow. I've not done more accurate tests on other tracks used in DTM, but I really feel the car too slow, not enough grippy, with a behaviour closer to GT3 than GT500, and so I don't completely find the fun I've usually with DTM an GT500. I did a few tests on AMS with GSCE DTM mods tonight. The GSCE DTM 2015 seems to be based on URD work (Aura, Bayro and Maures dirs but real names ingame). This mod seems not bad in times (1:33 on Hockenheim, 1.18 on Brands Hatch, 1:25 on Interlagos), but has a weird handling (like road or underinflated tires), not much feedback in the wheel and it's very hard to lock wheels when bracking. The GSCE DTM 2013 mod with its default tires is a bit slow and is lacking of grip (1:35 on Hockenheim, 1:27 on Interlagos). The GSCE DTM 2013 mod with the optional tires (not option tires, but an optional set of tire you load in the showroom, which are default tires on GSCE DTM 2014 mod which is just a small update of the 2013) is a lot faster (and fun, my goto car, 70h on it), but too fast (1:30 on Hockenheim, 1.16 on Brands Hatch), and the handling and returns in the wheel are so good (just need to increase the caster arround 8-9 to have a good FFB). So 1:38 on Hockenheim and 1:23 on Brands Hatch with the URD mod on Assetto Corsa feels really slow. 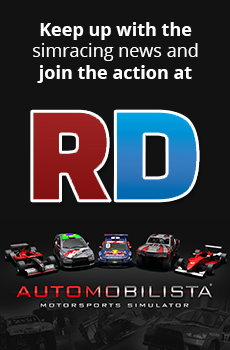 I'm waiting to test it on AMS and to test DTM Experience 2016 on R3E to make an opinion. Status Update .. yesterday i have updated all skins a fast update of alpha map made the reflection better.